← And the Good News is…! 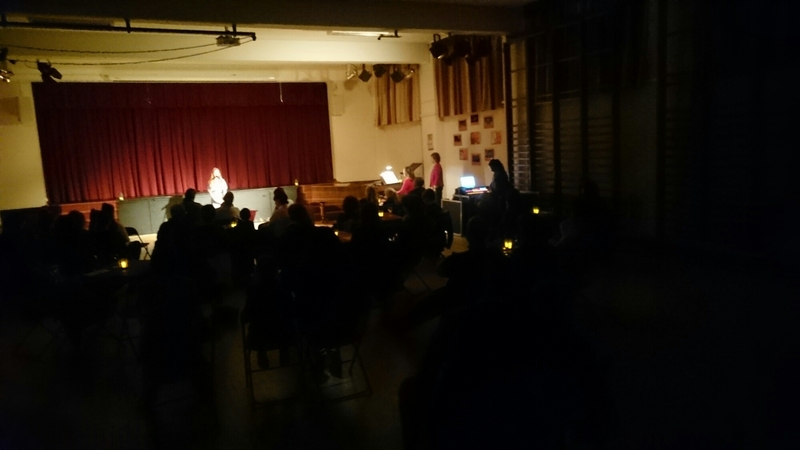 This Wednesday at Senior Girls, a select audience of parents and friends enjoyed an extraordinary showcase of the girls’ singing abilities of both formal and contemporary music. Each performance lasted about 4 minutes, so we are talking full on ‘single’ duration. I’d have bought them all. Director of Music Hester Goodsell and singing teacher, Freyja Barter, supported so well by Vron Foster and accompanist Jean Glenorchy set up an amazing album of delights, all laid out in cabaret style, as my very bad photo shows here. I spoke at the end of the concert about the absolute importance we place in Claires Court on performance Art, and its sheer longevity as an ambition. Shortly after Freyja left the Sixth Form, her singing group’s short album was selected for free mass distribution by the Daily Mail, the first girl’s ‘hit’ we have had in my memory. Since then the Sixth Form have established a major footprint in original theatre work, concluding this last summer with their own ‘musical’ play around Noel Coward’s Black Dog. A few year’s ago, we were able to persuade Michael Morpurgo to stage his novel ‘The Kites are flying’ as a stage play at the Edinburgh fringe, and the memory of that work still brings tears to my eyes, set as a love story on the wall that divides Jerusalem. 1. Participation in structured arts activities can increase cognitive abilities by 17%. 2. Learning through arts and culture can improve attainment in Maths and English. 3. Learning through arts and culture develops skills and behaviour that lead children to do better in school. 4. Students from low-income families who take part in arts activities at school are three times more likely to get a degree. 5. Employability of students who study arts subjects is higher and they are more likely to stay in employment. 6. Students from low-income families who engage in the arts at school are twice as likely to volunteer. 7. Students from low-income families who engage in the arts at school are 20% more likely to vote as young adults. 8. Young offenders who take part in arts activities are 18% less likely to re-offend. 9. Children who take part in arts activities in the home during their early years are ahead in reading and Maths at age nine. 10. People who take part in the arts are 38% more likely to report good health.